Our Shotgun Scabbard has been on the market for some time now and has really changed the way tactical teams carry a tactical shotgun. This unique Shotgun Scabbard was designed to provide an effective way to carry, support, secure and deploy a tactical shotgun. 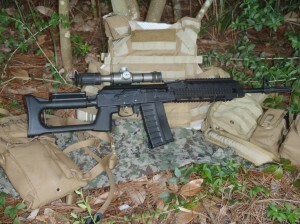 It is ideal for tactical teams that need to carry multiple tools. We now have a short barrel scabbard that is based upon the full size Shotgun Scabbard that will support the really short shotguns that are being used more and more today. 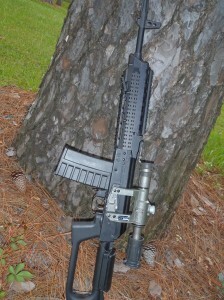 It also is designed to support short barrel rifles. 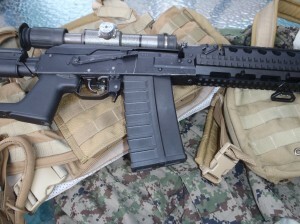 Tactical teams/Breachers if you are looking for a different way to carry your shotgun this is it. Available in Multicam, A-TACS AU, A-TACS FG, Coyote, Khaki, Ranger Green, OD, Woodland and Black. We have you covered. 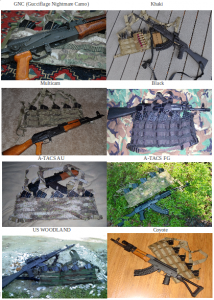 The remaining pics from a very succesful AK47 chest rig group buy with AKfiles members. During the buy there were 9 colors choosen for the AK47 chest rig. 50 rigs were sold over a few day period. The most popular rig by far was the Multicam. The following colors in order of popularity. Multicam, A-TACS AU, A-TACS FG, Coyote, Woodland, Khaki, Black, OD and GNC. Our AK47 chest rigs are available in two lat strap configurations. The standard and pull-forward. Most chest rigs are designed with the standard design. Which requiers the user to remove the rig and go through a lengthy adjustment process. The pull-forward allows the user to adjust the rig on the go. Making it easy to adjust to dynamic tactical environments and dramatic weather extremes. The pull-forward design was the winner and the only rig on the market with this option. 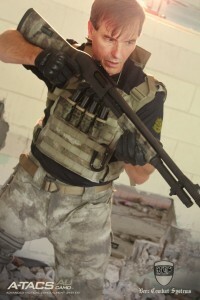 AK47 chest rig users usually prefer a H-harness or X-harness. So, we offer both harness styles. We have the standard H-harness for the H-harness fans. We have added to our X-harness what we call the X-stabilizer to help improve the X-harness design. 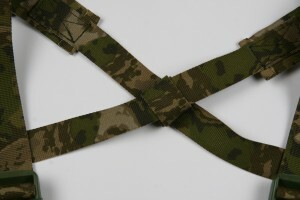 The X-stabilizer prevents the X-harness straps from twisting making it easier to dawn and remove. It equalizes and stabilizes the X-straps automatically on the back. Helps prevent X strap creep up on the neck. The group buy was for the 5 mag version but the AK47 chest rig is available in a 3, 4, 5 , 6 and 7 mag versions. 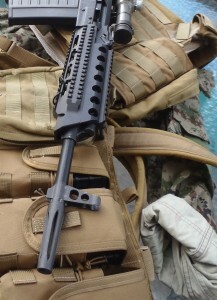 A customer send us a few pictures of his BCS Plate carrier with cumber and his weapon. 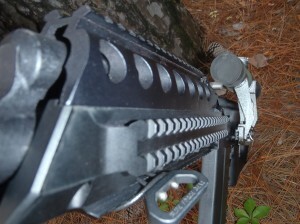 The PC is a 10×12 Coyote Plate carrier cumber. 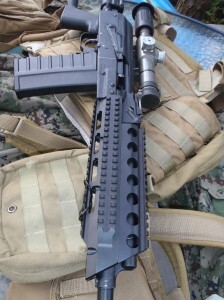 The rail system is a CNC warrior Saiga quad raid. The mags are Uinta 20 round. He also had some trigger work done – polished Arsenal single stage AK trigger group. 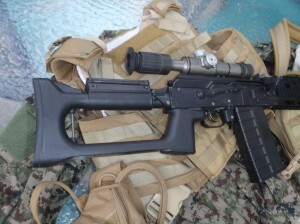 Spetznaz "Nightfighter" 7.62 flash suppressor with a POSP 4X scope. We appreciate the time and energy spent when customers share pictures of their gear and weapons. Our Plate carrier line has three different models you can choose from. Low-profile, Molle and Cumber. They are all made with the top load design so you never have to worry about a plate falling out. Available in Multicam, A-TACS AU, A-TACS FG, Coyote, Khaki, Woodland, OD and Black. 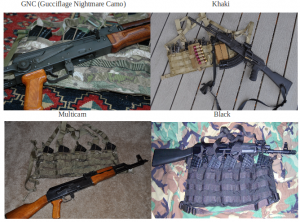 Here are few pics from Akfiles members of their AK 47 chest rigs. We are waiting on a few more colors. Our AK47 chest rig has changed the way AK47 mags are carried.